The 4th anniversary of the CPA celebrations on 9 January in Malakal Town, the capital city of Sou are targeted by their Dinka neighbors for slaughter and th Sudan’s Upper Nile State, turned out to be a trigger for carnage and blood shed whereby Chollo community mass displacement. Below is a letter written on the the day of the carnage at AnakDiar village, 15 KM out side the city; the MPs letter contains Chollos perspectives of the sad events and what needs to be done to address it. We, the representatives of the Collo nation in the National, Southern Sudan and Upper Nile State Assemblies would like to submit to you our concerns on the above subject. Yesterday, when the whole Sudan was celebrating the fourth anniversary of the historic signing of the Comprehensive Peace Agreement, fighting took place in the morning between Collo and Dinka tribes over which traditional procession (Yai) should enter the stadium first. Thanks to God, the fighting was limited only to members of the two tribes in the two processions using spears, lances and sticks. Yet several persons from both sides were injured, some of them seriously. The order of the processions appears to be a trivial issue, but it is a serious matter deep-rooted in the claims over the ownership of Malakal town, the location of the celebration. According to tradition, the procession of the owner of the location where the celebration takes place leads all participating processions. It is common knowledge that some elements of the Baliet Dinkas have been claiming ownership of Malakal town and all the Collo areas east of the White Nile and north of Sobat river. At about 5:00 pm in the evening of the same day, credible reports were received that some elements of the Dinka were preparing to attack Anakdiar. This information was passed to your Excellency officially by the Commissioner of Panyikang County in the Stadium and you confirmed at 7:00 pm that a military force was sent to Anakdiar and you instructed that this information be passed to His Majesty the Reth of Collo and assure him not to worry as things were under control. Your instructions were communicated to His Majesty accordingly. To our bewilderment and dismay, Anakdiar was attacked at about 2:00 am today by armed Dinka. They found no resistance of any sort. More than fifteen lives were lost, some people burnt in their houses, scores wounded and thousands displaced. The force that your Excellency assured us to have left for Anakdiar in the evening yesterday never left at all. Only a Police force on their own initiative left for Anakdiar at about 9:00 am today!! This callous murder of innocent people must be condemned in the strongest terms possible and the perpetrators apprehended to face the full brunt of the law. The displaced persons who found their way to Malakal town arrived in very miserable conditions and yet received very little attention from the authorities. We are grateful to the foreign NGOs that were on the scene. If these displaced persons were to go back to their areas at all, the Government authorities must provide them with the protection they trust. This incident is not an isolated one.We are receiving reliable reports of moves by elements of the same tribe to attack Collo areas they claim to be theirs, such as Lul, Obang (Canal Mouth), Atar, etc. In fact in Lul area, Abanim village was burnt to ashes, several people killed and others captured. It is, therefore, clear that there is a well coordinated plan to seize Collo land by the force of arms. We are deeply concerned that the authorities are not taking serious measures to arrest these unprovoked attacks nor resolve the issues at the centre of the dispute. It will be recalled that since the late 1970s, some elements of the Dinka have been disputing the boundary between them and Collo nation claiming some areas to belong to them. The Collo had responded by writing petitions to the Regional Government of Southern Sudan at that time. We thought the matter was laid to rest when the Minister of Administration by then, Mr Hilary Paul Logali, and the Minister of Decentralization later, Mr Charles Kuot Chatim, both ruled in Collo’s favour. These elements of the Dinka brought up the issue once more in 1995 and as usual the Collo responded by addressing the authorities concerned. Again, the Collo won the case. 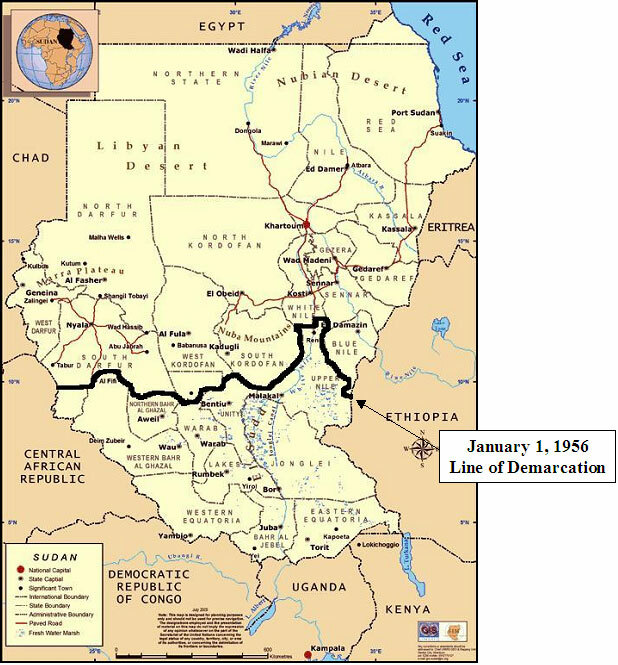 What surprises us now is that when these elements of the Dinka revived their unfounded claims in 2004 and thereafter, nothing was done despite Collo’s legitimate demand that the Government of Southern Sudan (GOSS) sets up a committee to demarcate the border between the two tribes once and for all. The petitions of the Collo supported by the necessary documents in that respect were delivered to the highest authorities in the GOSS including the President and the Vice President. It is also to be noted that over the same period, the Collo were disarmed while their neighbouring tribes were not. 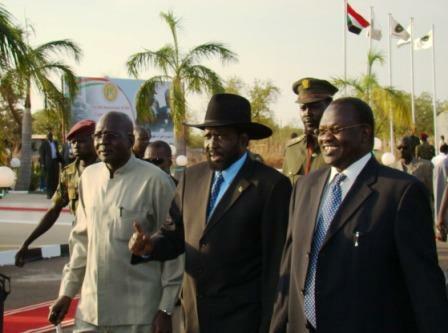 In light of the repeated and continuous provocations in the form of unsigned seditious leaflets and now armed attacks and in view of the clear unwillingness or inability of the authorities in Government of Southern Sudan to settle the dispute peacefully, we find ourselves, as representatives of our people, with no moral authority to restrain any more those who would be forced to pay the aggressors in their own coin. Every person has a legitimate right to self-defence. It is our sincere hope that the authorities in Upper Nile State and the Government of Southern Sudan will act firmly and swiftly at this eleventh hour to address this very serious situation by putting an end to violence, bringing the perpetrators to book and resolving the border dispute for good in accordance with the borders of 1/1/1956. This is the only way to have stability and peaceful coexistence in the area. Thank you. Signed by: Members of the Collo nation in the National, Southern Sudan and Upper Nile State Assemblies as per the attached list. c.c. 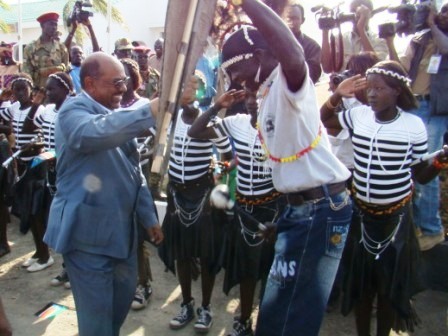 The President of the Government of Southern Sudan; c.c. The Vice President of the Government of Southern Sudan. Members of the Collo nation in the National, Southern Sudan and Upper Nile State Assemblies who signed the petition (in alphabetical order). DEMANDS PRESENTED BY THE COLLO REPRESENTATIVES IN THE NATIONAL ASSEMBLY, SOUTHERN SUDAN LEGISLATIVE ASSEMBLY AND UPPER NILE STATE ASSEMBLY TO H.E. THE GOVERNOR ON 12/1/2009. 1. The arrest of the attackers and subjecting them to trial. 3. The protection of Collo areas with forces they trust. 6. Taking firm measures against those who incite tribal hatred and sedition. occupied by the Jonglei State. 12. Compensation of all the persons affected by the recent incidents.